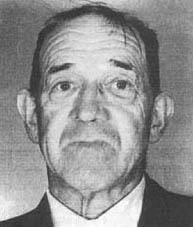 New Zealand got itself permanently out of the execution business after hanging Walter Bolton this date in 1957 for the murder of his wife. The 68-year-old farmer was condemned after his wife finally succumbed to a year-long bout with some mysterious recurring ailment — and the post-mortem revealed long-term arsenic poisoning. Since Bolton turned out to have been having an affair with his wife’s sister, the pieces just fell right into place. Jurors found these circumstances credible enough to stretch Bolton’s neck, but there’s the small problem that Walter Bolton himself also tested for arsenic poisoning. The defense argued that the farm’s wells must have soaked up the poison from sheep dip. But if you like your wrongful executions more sinister than dunderheaded, you might turn a wary eye to that adulterous sister-in-law, Florence Doherty, who committed suicide a year after Bolton hanged. This 2001 Investigate magazine argues (beginning on p. 24 of the pdf) that Doherty may have been a serial arsenic poisoner. Whether or not Bolton was rightly accused, nothing along the lines of a public scandal over the case triggered death penalty abolition in New Zealand.